Are they “the one”? Are you “soul mates”? Does it seem like you were “destined” to find each other? 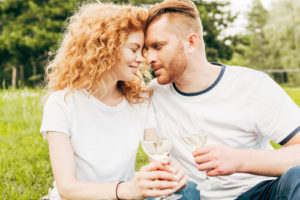 While such beliefs can seem romantic and positive about your relationship, research has found that they can be surprisingly harmful. Why? Because they encourage you to look at love and relationships as something that just kind of magically happens. Once you find that “right” person, everything will be smooth sailing from there on out. Except that it won’t. It never does. Over time, issues can’t help but develop in a long-term relationship. And if you’re expecting nothing but smooth sailing, these issues – even incredibly minor ones – can end up feeling like signs. Maybe they’re not “the one.” Maybe there’s someone “better” for you out there. After all, shouldn’t things be easier? Actually, no, they shouldn’t. If you truly want to find long-lasting love, you need to let go of the idea of “happily ever after” and embrace a “work-through-it” mentality instead. Relationships take work. People have unique feelings. Unique desires. Unique ways of looking at the world and doing things. You and your partner will see some things differently. This means there will be conflict. That isn’t a bad thing. Conflict can help both of you to grow and connect on a deeper level. But you have to approach it from the right perspective. Recognize that you and your partner have the ability to change things. You have power and control – you just have to seize it instead of giving in to the self-defeating belief that things just are the way they are. This means talking about what you need instead of expecting your partner to read your mind. Being willing to share your feelings and working to understand why your partner feels the way he or she feels. When couples find a way to do this, they often discover that their relationship is stronger than it has ever been before. They stop fighting with each other – and start fighting for each other. And what could be more romantic than that? Need help navigating conflicts? Reach out to the Delaware Relationship Center!